Today's swatches aren't nails! Amazing, right? Over the last few months I've been tempted here and there by new lip stuffs. A lot of these shared a display with a polish or four that I've bought and my eye has strayed, dragging my sore wallet with it. 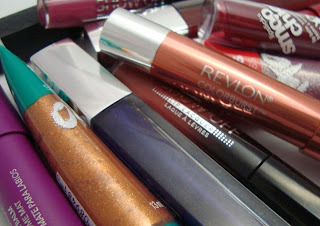 A small pile of pretty tubes and sticks has gathered on my vanity table and it seemed like it was time to tackle it. I haven't done a lip swatch in forever, so I hope these aren't awful. I used my daylight lamp, so the color and opacity may be a bit different than what you'd generally see in person in average lighting. All products in this post were purchased by me at either CVS or Walgreens. I loved the original Lipslicks. I lived in Bronze Goddess and Hipster for years and have at least one backup of each. I'm sure you know the mixed feelings that go along with a reformulation or other change to a favorite product. I was curious, skeptical, and a little bit bitter. You've been there. Still, I had to try one, right? I picked #2 cute because it looked closest to Hipster. The result on the lips isn't quite what I expected. It's very sheer and not as pigmented as I wanted it to be. The smell is just like lipgloss I had as a kid, very sweet. It's got the same kind of smooth, non-sticky, emollient feeling as the old Lipslicks and I can't say I miss the old lady perfume smell of those. I just don't feel like it lives up to what it replaced. I do want to try other shades though. I have to say, the names put me off a little, especially this one. I know the name of this shade is "hashtag 2 cute" but I always read it as "number 2 cute"...and number twos aren't cute. My love of shimmer isn't confined to polish. I was drawn to the Sizzle Glosses in the Hunger Games Capital Collection display the moment I got over finally seeing it in person...and once I'd perused the polishes, of course. I'm not sure if these are LE or not and I might have to grab the other two just in case. I'm blown away by Glow For It. It's got a shimmer that's almost like the glass fleck shimmer in polish. 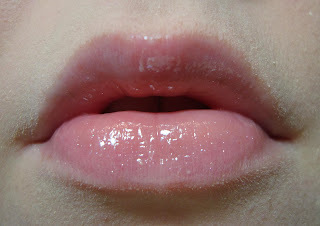 The shine is great too and it feels good on the lips, thankfully not sticky. The only possible downside is the fragrance. It's cloyingly sweet. It actually bothered me a little, but I can deal with it for this shimmer. 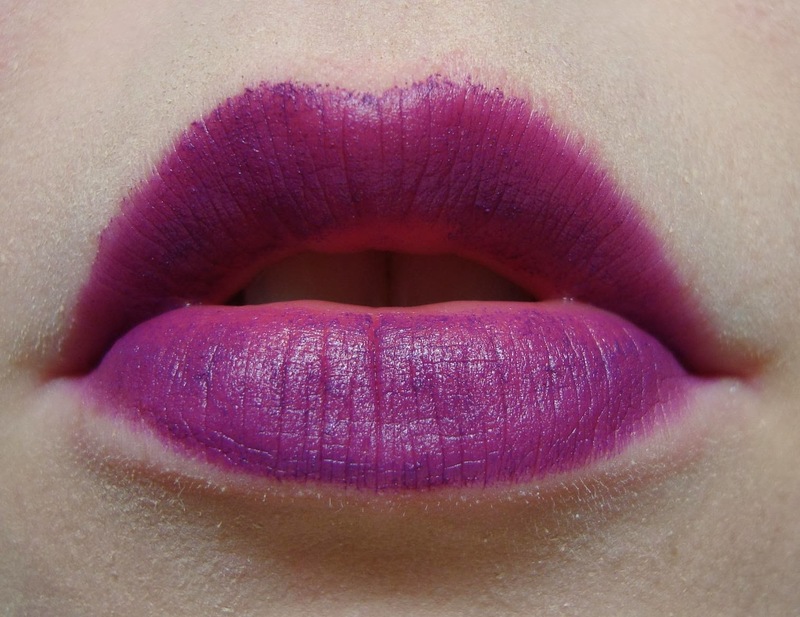 I wanna try layering it over a darker lipstick and I'll absolutely be wearing it on its own sometime too. I might even buy a backup, rare for me beyond polish. 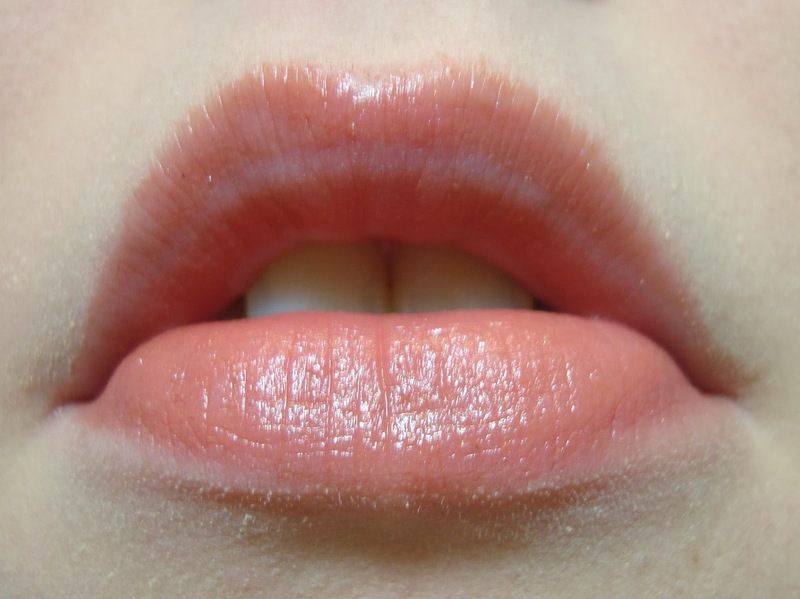 I was a little surprised that it's almost colorless on the lips, but the shimmer is stronger than it looks here and the shine is great. Like Glow for it, Violet Flare is way too sweet-smelling. I might have been imagining things, but I think it's grape scented. I hate artificial grape, so I was put off more by the scent here than I was with the other Sizzle Gloss. When these came out over the summer, I got sucked right into the hype. I rushed out to Walgreens and bought two of them and even...shockingly...wore them! I know, right? The few times I wore makeup this year, chances were that it was one of these two on my lips. They completely deserve the frenzy they caused here and in the UK. Light Year feels amazing on. It's glossy, has great shine, and is absurdly flattering on me. The scent is really light and actually pleasant. It wears fairly well too and fades out gracefully when it does start to go. I really need to get more of these! Galaxy is also very flattering and all around every bit as good as Light Year. It smells like candied violets, faintly sweet and lightly green and floral. These are amazing and you need at least one. I thought they were supposed to be exclusive to Walgreens, but Drugstore.com has them too...so who knows? I have mixed feelings about Embellished. 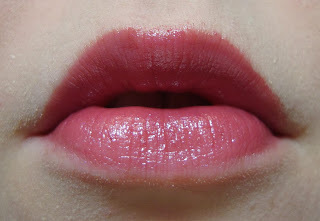 Its long and oddly flexible applicator tip is tough to work with and the shimmer that's so gorgeous in the tube doesn't show up much on the lips. Still, it's got amazing shine and the color is pretty, even if it's not quite what I expected from the tube. I got sucked in by the huge hype around these too. In general, they deserve it just as much as the Rimmel Show Offs do. The first thing I noticed as I put Ingénue on is that it's surprisingly minty. I wasn't expecting that for some reason. I love the color. 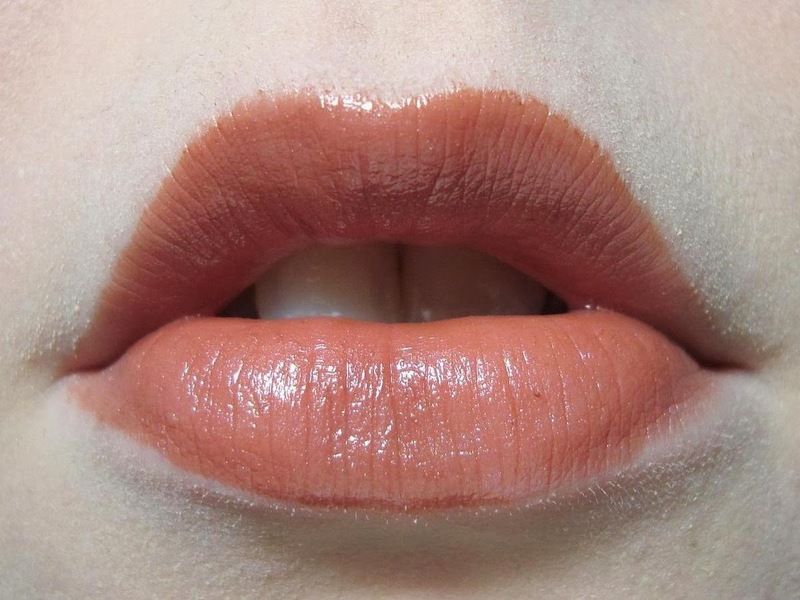 It's very much 'my lips, but better' and I can see myself living in this in warmer weather if I ever really get back into the makeup habit. The only negative things I can say about Ingénue are that it's slightly sticky and not as shiny as I'd hoped. I still love it! Enticing has the same feel and scent as Ingénue, but I'm not sure if the color's flattering on me. 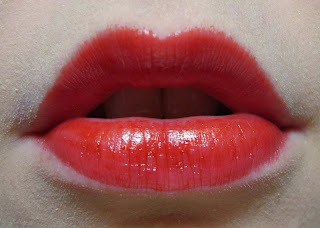 I've still never found a bright red that I really love. I'll wear this out at least once, but I might wind up exchanging it for another shade. The shine payoff seems a little better than Ingénue's, but it might just seem that way because it's darker. WOW! I love Ingénue, but I love Shameless. Matte lip products always worry me a little, but Shameless feels silky and not chalky at all. It feathered a bit at the edges, so I'll probably use a clear lipliner when I wear it 'for real'. It looks kinda cool here, but trust me...it looks flat out awesome in person. It's vivid and bold, but not garish. I need to wear this ASAP! I love that Maybelline's lipglosses have tamper evident packaging. Like the Rimmel Show Off packaging, there's a clear section that fills with product when the applicator is withdrawn. I wish every drugstore brand would do this if their products aren't shrink-wrapped. The shine is great and I'm seriously impressed by the color payoff. 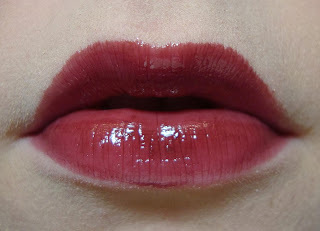 It's nice and dark and very well-pigmented. It's got a pleasant citrus scent that was a serious relief after some of the others I swatched. The only downside for me is the applicator. I found it hard to control and I think a brush or a more standard doe's foot would be better for this formula. This is what I wore on my lips when I painted myself green last month, though it wasn't as obviously purple then as it is when I'm me-colored. My notes for this shade vanished, unfortunately. I remember being about as impressed as I was with Chocolate Lust. It's decidedly purple on me, which I wasn't sure it would be after G's swatch on Nouveau Cheap. 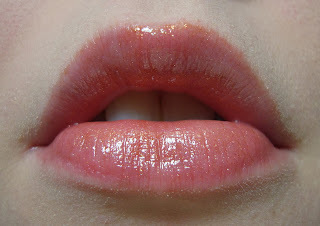 Lipgloss can vary so much with the wearer's coloring. It looked a lot better in person than the photo turned out. It seems a bit patchy here and it's darker in person. I'm not as blown away by it as I am by Revlon Shameless balm, but it's still something I know I'll be reaching for again. Bottom line: I like all of these, but I think Shameless steals the show. I love it so much that I bought Elusive over the weekend. That'll show up on here at some point too. I think there are only two of these that I might not buy if I'd worn them before I bought them, Enticing and maybe Embellished. Enticing is a skintone thing and Embellished falls short of the beauty you see in the tube. Otherwise these are all great and I'd call Shameless a must-try and say you're missing out if you've don't have any of Rimmel's Show Offs. You shoulda gotten it last week when it was about $1 at Walgreens with coupons!